Chicago native instrumental act Russian Circles has always demonstrated the rare, almost contradicting dynamic of keeping their musical output interesting while keeping their formula relatively simple. Behind the thick bass grooves of Brian Cook, the varied guitar stylings of Mike Sullivan, and the stupidly-tight drum work of Dave Turncrantz, the band has managed to keep each release equally unique while also maintaining a pleasant familiarity. Guidance is certainly no exception to this trend. By dichotomizing the volumetric peaks and valleys of their sound, Guidance serves as a prime example of how seamlessly the band can weave the ominous with the tranquil and everything else in-between on the emotional spectrum. Russian Circles doesn't waste anytime in demonstrating Guidance's range. "Asa" provides a serene introduction to the album, featuring a simple guitar riff that gracefully flows back and forth before transitioning into the album's first single, "Vorel". This track builds with a slew of drum crashes that cascade over each other in a fashion that is so primal, you're immediately hooked. Also being accompanied by a barrage of infectious heavy-hitting guitar riffs (many of which are reminiscent of "Deficit" from their last album, Memorial), "Vorel" sets the pace in terms of the heaviness one can expect to come from Guidance. Following tracks "Mota" and "Afrika" best exemplify the symbiotic nature of all the elements at play throughout the album as a whole. Both intertwine the up-tempo nature and density of their more "metal" tendencies with softer melodies that echo through your ears as easily as a cool summer breeze. You hesitate to call either track a "heavy-hitter" or a "melodic ballad" because they truly are both. But while the first half of the album is undoubtedly great, the back-half is where Guidance surely hits its stride. "Overboard" plays towards the more tender melodious side of Russian Circles' sound, a side that one would more typically associate with post-rock. An easy-going guitar riff, and simple variations thereof, glide through the song with the backing of a bass groove and drum rhythm that are strong yet equally as nonchalant as the overarching melody. When "Calla" kicks in afterwards, however, the album's most glaring efforts to juxtapose the calm with the foreboding shines brilliantly. Where "Overboard" lulls the listener into a sublime security, "Calla" takes off the kid gloves and throws an onslaught of distorted heavy goodness that easily hits harder than anything else on Guidance. Hearing "Calla", especially after listening to all the previous tracks on the album in sequence, evokes this sense that the album is sentient and has been storing pent up aggression over the course of it's run-time before finally letting it all out. "Lisboa" closes the album with slow and soft guitar notes that build into a foray of large walls of anthemic distortion. Much like "Mota" and "Afrika", "Lisboa" taps into the band's versatility and brings Guidance to its end in beautiful fashion. Past Russian Circles albums have generally featured this mix of heavy and soft songs that try to elicit strong fluctuations in emotion; but Guidance taps into this ethos in a way that I haven't heard since Geneva. The biggest challenge every instrumental band faces is using their instruments alone to craft their "voice" (yes, I realize how obvious that sentence was). 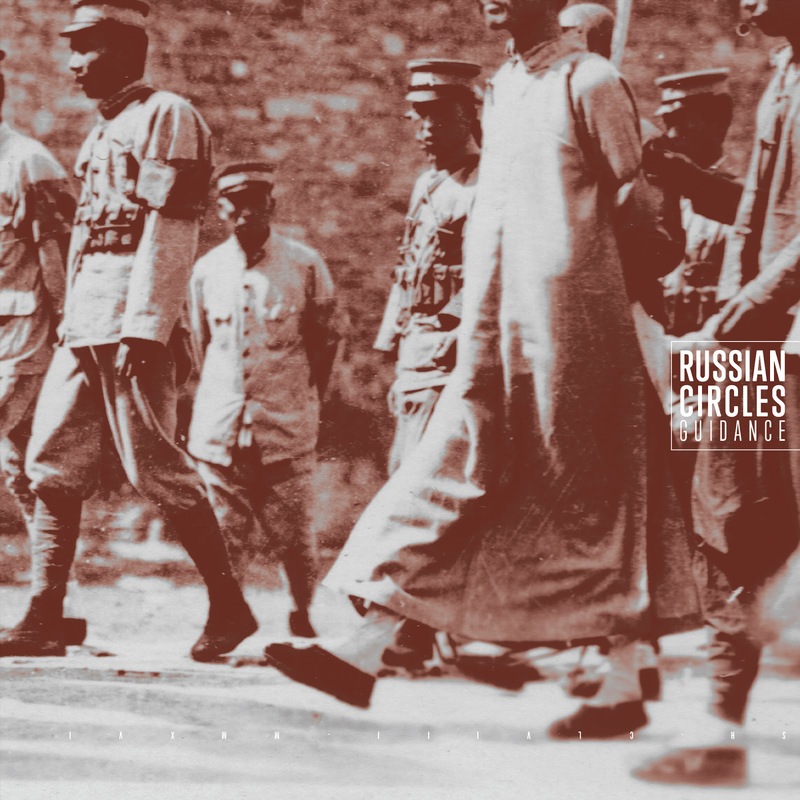 Russian Circles has flawlessly crafted a voice that encompasses two very different worlds, the beautiful and the ugly. For an album that could act as a teacher for any other band trying to achieve this, Guidance is an apt name. Russian Circles has never ceased to amaze me in the past and they sure show no signs of stopping anytime soon.